Top 5 Résumé Writing Myths How To Run Your Business From Anywhere In The World! Entrepreneur Success Strategies Career Reinvention in 4 Easy Steps! Global Resume Tips! Our friend career coach Kim Marino recently stopped by to share the top 5 resume writing myths that she encounters as a career consultant. Find out why these 5 resume writing thoughts are false by tuning in to Dream Job Radio! Determine the purpose of your business. More than just making money what kind of lifestyle do you want to live? Traveling the world? Spending more time with family and kids? Your niche market must meet these lifestyle choices! Create a “Family Policy Statement” with those who will be affected by your intention to become a lifestyle entrepreneur. Have weekly “mastermind” meetings to keep your goals clearly in focus and to expand your network. Always remember that you have value to add to the world! Finding where your skills lie is the key to starting a business that will allow you to live like a lifestyle entrepreneur. Be sure to listen to our exclusive interview with Andy and find out more! Create your best, probable & worst case scenarios for your first 3 years in business. Base projections on the worst case. Consider purchasing a business that is 3 years old. This is when most new owners are ready to bail! Tom’s book contains worksheets designed to make your business planning a success. As a Harvard double major and entrepreneur himself, Tom Anastasi has the qualifications to provide advice for any would be entrepreneur. Be sure to check it out! Are you unhappy in your present career but unsure where to start in moving forward? Today’s DJR guest Caroline Dowd-Higgins author of “This is Not The Career I Ordered: Empowering Strategies From Women Who Recharged, Reignited & Reinvented Their Careers” shared these 4 tips for your career re-invention! 1) Self Reflection – Take time to examine what you really want out of your next career. Ask yourself “what do I value from a work environment? 2) Research – Talk to people who are active in the career fields your considering. What do they believe are the pros and cons of their current situation? 3) Market – Be your own advocate! 4) Application/Hiring – Renovate your resume to include the reasons why your the right person for the job even though it’s in a new career field. 1) Resumes in the rest of the world are different that here in the U.S. Depending on the country employers may expect a photograph, list of hobbies, and even information about your friends and family. 2) Brazil is one of the hottest growing markets in the world! Check out goinglobal.com to buy a guide to razil for only $29.95 and learn how to land your dream career in paradise. 3) What are overseas employers looking for? Previous multi-national experience including vacations, exchange study programs, or friends. 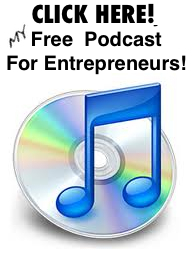 Along with these tips listen to more of Mary Anne’s advice free straight from the interview below! Have you ever felt like you hate your job? Or your ready for a change of scenery? Check out these quick tips from Tiffani Murray author of the “Stuck on Stupid” book series. 1) Realize your stuck. Then look for an exit plan. That doesn’t necessarily mean quitting your job. It may just mean changing things up, transferring departments, or changing hours. 2) Shake up your inner circle. Expand by networking, attending seminars, and seeking out great mentors. 3) A change of scenery can do wonders! Take a weekend trip, clear your mind, go to the gym to get your adreneline going. From Idea to Launch – Product Strategies That Work! If you would like more strategic tips be sure to visit her website and inquire about coaching and listen to the entire interview below! 1) What’s your functional work title? 2) Write down 10 things you’re especially good at in your field. 3) What are your unique contributions in each position you’ve held? 4) What level position are you looking to achieve? 1) The summary on your resume should include what you’ve accomplished. Make it clear why they should hire you and what you bring to the table. 2) Everytime we talk to someone we’re engaged in public speaking. We’re being judged on what we say and how we say it. Present a clear message and capitalize! 4) Network by going to events that feature people you want to meet. Career coach and résumé expert Kim Marino has some awesome résumé tips designed to make you stand out in your job search. Getting to the interview is the main purpose of your résumé. How can you make it pop leaving the employer begging for more? 1) First Kim says search sites like indeed.com for keywords associated with the career field you’re looking for. Add those keywords to the top of your résumé under contact information making it easy for the reviewer to scan. 2) How about the meat? Kim recommends avoiding the words “responsible for” instead replacing that with the real accomplishments you’ve made via bullets. Be sure these accomplishments match the career you’re attempting to get. 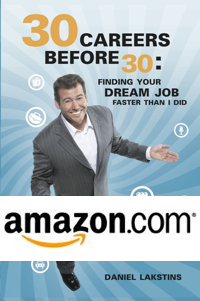 3) What if your past job experience doesn’t match the new field you desire? Try to pull out specific skills from jobs you’ve done. Or even better include non-profit or volunteer projects that may include the leadership skills you need. Need more help or looking for one on one advice? Be sure to check out hiringforhope.org where career experts like Kim Marino help job seekers makeover their résumé!